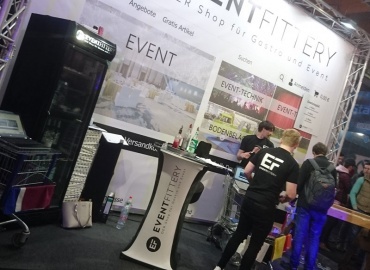 The planning for Prolight + Sound 2019 is already in full swing at Messe Frankfurt. Visitors and exhibitors can already look forward toward a new floor distribution in the halls. In addition to a completely new hall – Hall 12 – the organizers have many advantages in store for participants. Currently still under construction, Hall 12 will be the largest and most modern building at Messe Frankfurt. This new hall will offer first-class surroundings for product presentations during Prolight + Sound 2019. With 33,600 square meters of exhibition space and ceilings reaching up to ten meters, exhibitors can stage themselves in a variety of ways. The “Via Mobile” pathway system connects it directly to the Audio Hall 8.0. The audio areas will be brought together in Hall 8.0. From mobile sound to long-term installations, to studio and broadcast technology: Hall 8.0 will bring together the entire audio spectrum in one place. Trade fair visitors can profit from the close proximity and the maximal interaction between Prolight + Sound and the Musikmesse trade fairs. In Hall 4, Messe Frankfurt has created a central location for continuing education – directly in the center of the trade fair grounds. Here, exhibitors connected to DJ + Entertainment Technology present themselves in the so-called “Education Hub”. With a high-quality selection of seminars, the hall is the top location for information exchange and networking. In addition, it is the new home for associations and educational institutions. 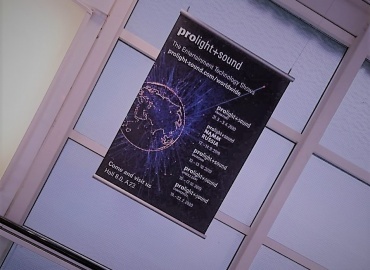 It’s a fact that Prolight + Sound is also jam packed with creative impulse in 2019 and offers a wide variety of presentation spaces for exhibitors. The new hall plan reflects this diversity and modernity.